Summer is Finally Here! Service Your Toyota Sedan, Truck, or SUV Today! 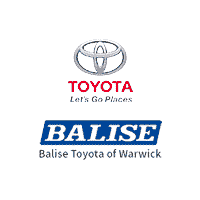 If you need auto service for the summer season, bring your vehicle down to the professionals at Balise Toyota of Warwick. We’re here to help our customers all over Warwick, Providence, and Pawtucket stay safe on the road. At our Toyota dealership serving North Kingstown, Coventry, and Cranston, we strive for excellence in everything we do. This includes offering exceptional Toyota service and repairs. In fact, drivers of all makes and models can come down to see us and get vehicle service they can truly depend on. Our team of Toyota technicians are factory trained and certified ready to repair your vehicle correctly the first time. We understand that servicing your car after a breakdown can be stressful, but if you would like a hassle-free experience, bring it down to our service department. We make it easy for New England Toyota drivers to get the parts they need no matter where they’re from. Feel free to bring your Camry, Corolla, RAV4, or 4Runner down to our service center today – as always; we’re here to help! Since the weather is changing, you’re going to want to bring your vehicle in for quality service. If you cannot remember the last time you had an oil change or tire rotation, now is a good time to bring your vehicle in. Schedule your appointment now, and we will see you soon! 0 comment(s) so far on Summer is Finally Here! Service Your Toyota Sedan, Truck, or SUV Today!